Business owners and investors use financial ratios to help understand how well a company is performing. The ratio known as the return on equity (ROE) measures how efficiently management is using the company’s equity to generate income. It is defined as net income divided by shareholders’ equity. You can calculate the return on equity from company balance sheets by leveraging data found on the company's income statement. A balance sheet is a snapshot in time of a company’s finances. It is a table of accounts organized into three sections, assets (what the company owns), liabilities (what the company owes) and equity (assets minus liabilities). The equity section is labeled “owners’ equity” when the company is privately owned by a single owner. It is labeled “shareholders’ equity” if the company is a corporation with multiple owners. In either case, the balance sheet’s equity accounts include the money invested in the company by owners and shareholders plus the company’s unspent profits, or retained earnings. 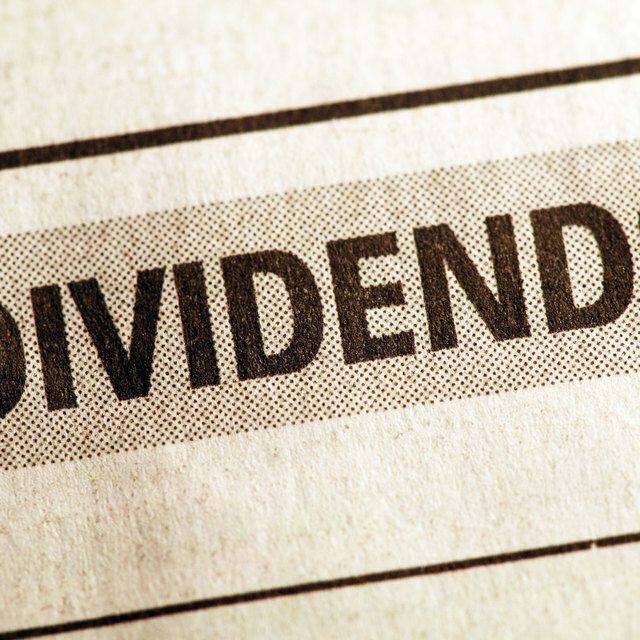 Companies pay dividends to shareholders from their retained earnings. You can think of equity as what, if anything, would be left over if a company used its assets to pay off all its liabilities. When equity rises, it indicates that the company is generating income and is growing. Return on equity is a snapshot comparison of a company’s net income, or profits, as a percentage of its equity. The balance sheet is the source of the ratio’s denominator, equity. However, to find the ratio’s numerator, net income, you have to consult a different financial report, the income statement. The income statement lays out, for a given time period, how much money the company earned, how much it spent, and what was left over. The leftover is net income, and it is added to the company’s retained earnings on the balance sheet. A small bank, Miserly Trust, creates its annual financial reports, including its balance sheet and income statement. The bank pays no dividends. The balance sheet indicates that the company has a shareholders’ equity of $500 million, and the income statement reports net income of $30 million for the year. The ROE is calculated as $30M/$500M, or 6 percent. Alternatively, if the bank had also released monthly balance sheets, the ROE could be calculated using the average equity for the 12 months in the year. If the average equity were $25 million, the ROE would be 5 percent. Like most financial ratios, the ROE must be interpreted in light of the company’s industry and the ROEs of its competitors. For example, the annualized ROE for all U.S. banks as of the third quarter of 2017 was 9.58 percent. Miserly Trust’s below-average ROE might be a warning that the company is not efficiently using its equity. However, care must be taken to understand the bank’s numbers. For example, since the bank pays no dividends, its ROE might look small. That’s because dividends reduce the size of the ROE denominator, equity, and therefore boost the ROE. When dividends are low or not paid at all, the retained earnings portion of equity is relatively larger and hurts the ROE. All things being equal, if the bank had chosen to distribute some of its earnings to shareholders through dividends, it would have a larger ROE. Investopedia: How To Calculate Return On Equity (ROE)?